Dean Edith Abbott was fond of saying "We of the West are not afraid of crossing the frontiers." This pioneering spirit drove the choices she made in life and led her to change the course of contemporary education history. Miss Abbott was born to a family of activists in Grand Island, Nebraska, in the shadow of the Overland Trail. Her father, fresh from the Union army, served as the fledgling state's first lieutenant-governor. Her mother, a Quaker originally from northwestern Illinois, participated in the Underground Railroad and the women's suffrage movement. After completing her undergraduate education at the University of Nebraska, Miss Abbott attended the University of Chicago, receiving a Ph.D. in economics in 1905. Through a Carnegie Fellowship, she continued her education at the London School of Economics, where she learned from and befriended social reformers Sidney and Beatrice Webb. By 1907 she was back in the States, teaching at Wellesley College, when she was offered the opportunity to become assistant director of the School of Civics and Philanthropy in Chicago. Back in Chicago, she found herself in a uniquely inspiring environment, which would prove conducive to her future accomplishments. At the School of Civics and Philanthropy, she worked alongside Graham Taylor and Sophonsiba Breckinridge, as director and head of research, respectively. Residing at Hull House, she was surrounded by the "Great Ladies of Halsted Street"—Jane Addams, Alice Hamilton, Florence Kelley, Julia Lathrop, and her own sister, Grace Abbott. From the beginning, she was adamant that social work education should be conducted at the graduate level, under the sponsorship of a university. At the time, her views were considered idealistic and impractical, if not downright subversive. Nevertheless, Miss Abbott held firm in her belief. "Social work will never become a profession—except through the professional schools," she said. "A good professional school of social welfare not only needs a close connection with a good university but the modern university also needs such a school." Her work paved the way for the School's merger into the University of Chicago, and in 1924, she became its dean—the first female dean of any graduate school in the United States. Her impact on curriculum-building in the field was just as revolutionary. She was years ahead of her time in understanding that, to be effective as future administrators, her students needed to learn more than just casework. They would require an understanding of legal concepts, the social implications of medical problems, and the fields of public social service, social research, and social administration. As a result, such courses as "The Child and the State," "Social Work and the Courts," and "Methods of Social Investigation" were offered at the Chicago School long before they were introduced at other institutions. In light of her academic orientation, some conjectured that Miss Abbott was disinterested in casework. To the contrary, her aim was to prepare students for casework practice by providing them with the intellectual scaffolding they would need to be most effective. Charlotte Towle later summarized Miss Abbott's unique perspective on casework: "She made the means test, legal settlement, relative support laws, and similar restrictive statutory and administrative practices come alive for me in terms of what they were doing to people psychologically. This theme, which I developed in Common Human Needs, I owe to a new dimension in my thinking derived from Miss Abbott rather than from my training as a psychiatric social worker." Miss Abbott was herself a devoted, if demanding and, at times, intimidating, teacher. She often borrowed a quote from Beatrice Webb: "I sometimes break appointments with others, but never with students; for students are really important." During her deanship, Miss Abbott and SSA were deeply involved with national policy in such areas as immigration, labor, and child welfare. Her sister, Grace Abbott, served as chief of the U.S. Children's Bureau from 1921 to 1934 and saw to it that policy-makers in these arenas included the research being done at SSA. 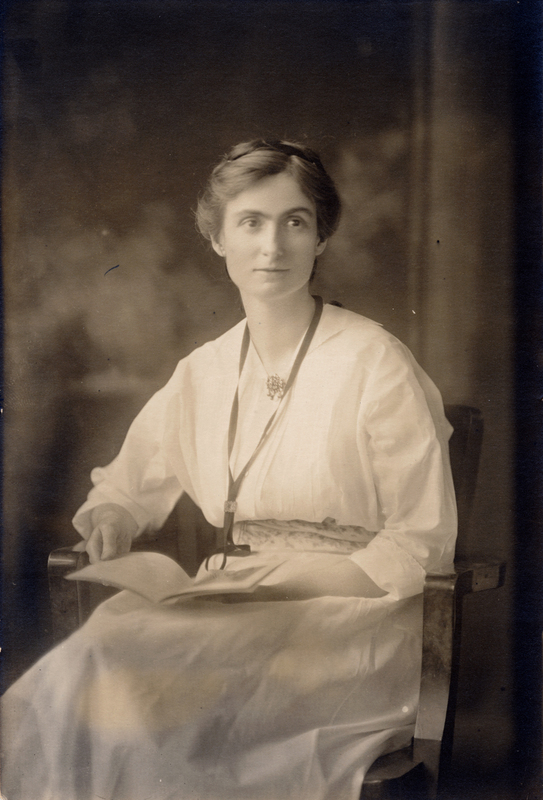 Edith Abbott's own greatest contribution to public policy was in the area of social security legislation. Her book, Public Assistance - American Principles and Policies, was the product of many years of research and teaching. Miss Abbott retired in 1942 and spent the last years of her life at the family home in Grand Island, Nebraska. Abbott Sisters Day has been celebrated on March 20th throughout her home city and state since 2002.